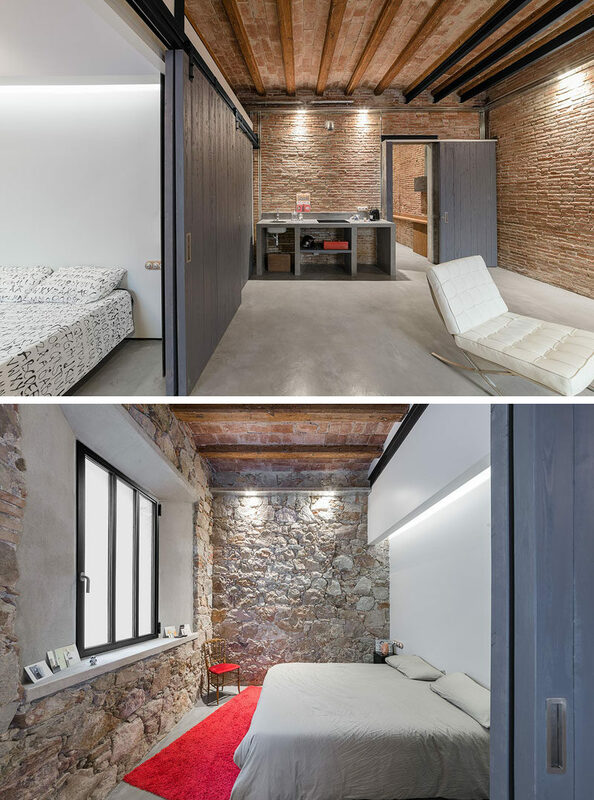 FFWD Arquitectes have recently completed the renovation of an old carpenter’s workshop in Barcelona, Spain, into a two spaces, a guest suite / studio space and the second, the main living apartment. 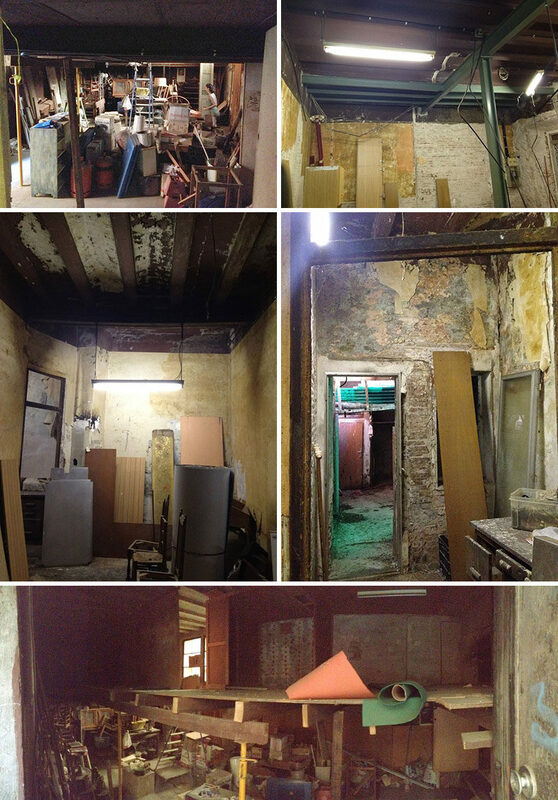 Before we have a look at more photos of the finished interior, let’s see what the designers had to work with. Here’s a look at the guest suite / studio space. Original details like the walls and ceiling have been left in place, but new details like a concrete floor, barn doors and a bathroom have been included. 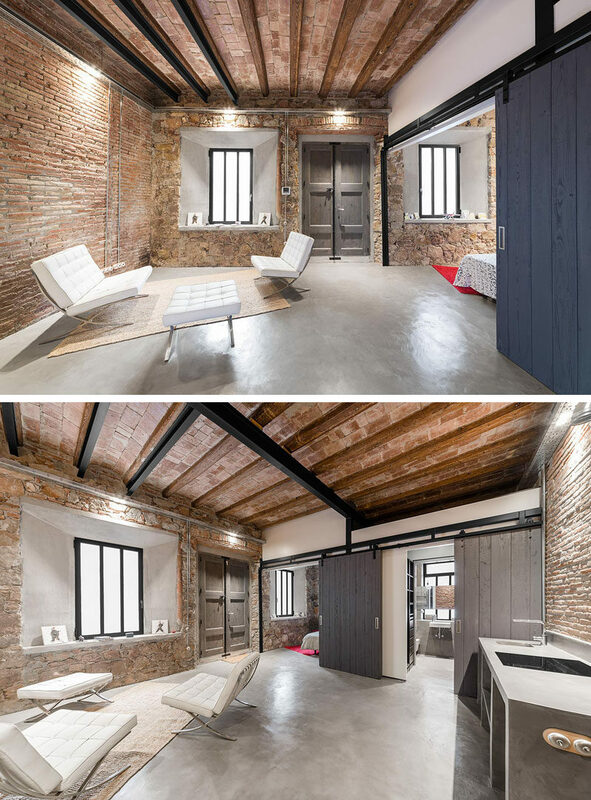 The barn doors can expose or close off the bedroom and the bathroom from the rest of the space. In the bedroom, the pristine white wall is a strong contrast to the original stone walls. 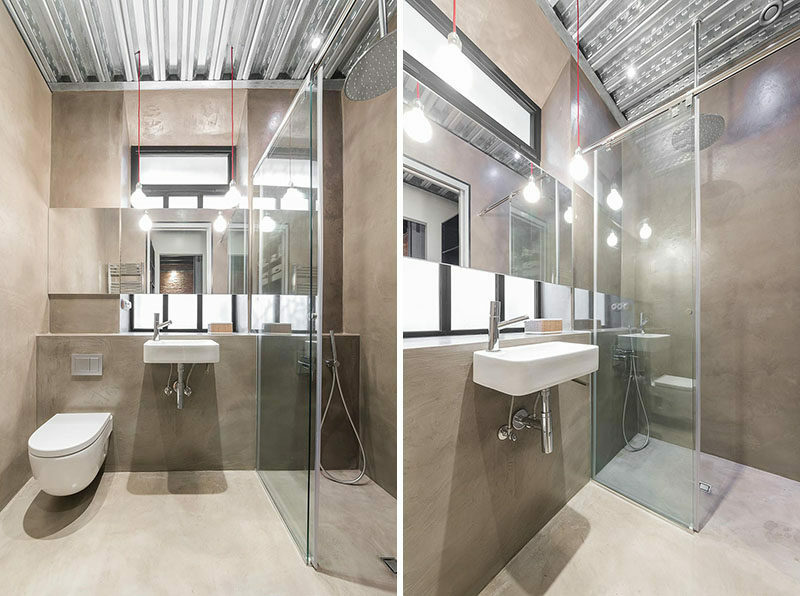 In the bathroom, a small shower is surrounded by glass helping to make the space feel larger, and the metal ceiling and large mirror aids in reflecting the light. Heading through to the main living apartment is the bedroom. Off to the side of the bedroom is a walk-in closet with plenty of storage for clothing. In the bathroom, the vanity area and shower are stepped down from the toilet. 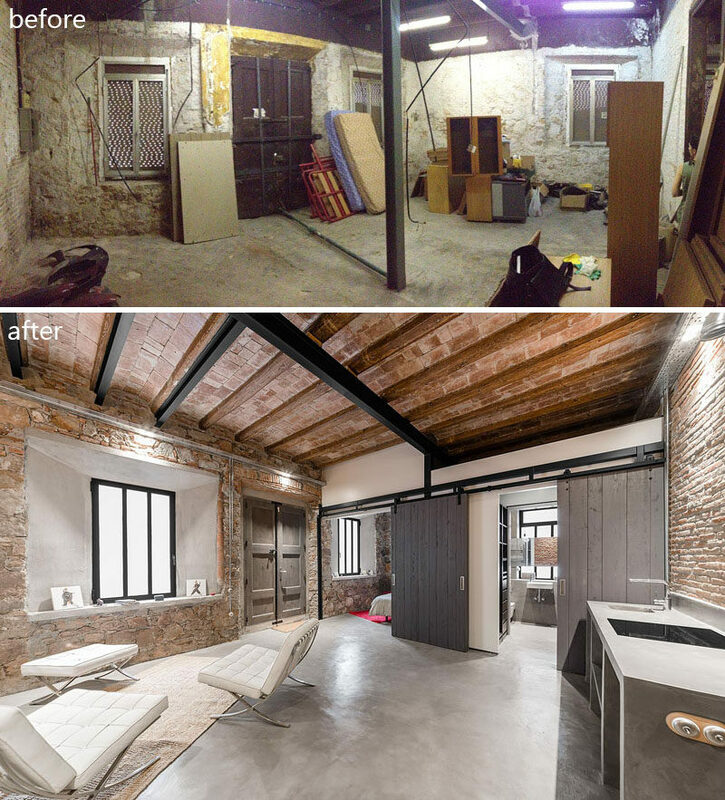 Again, a metal ceiling helps to keep things bright, while the original stone wall has become a feature wall. Located in the main area of the home is the kitchen. A large central island provides plenty of counter space, and light gray wood has been paired with concrete to create a contemporary look. 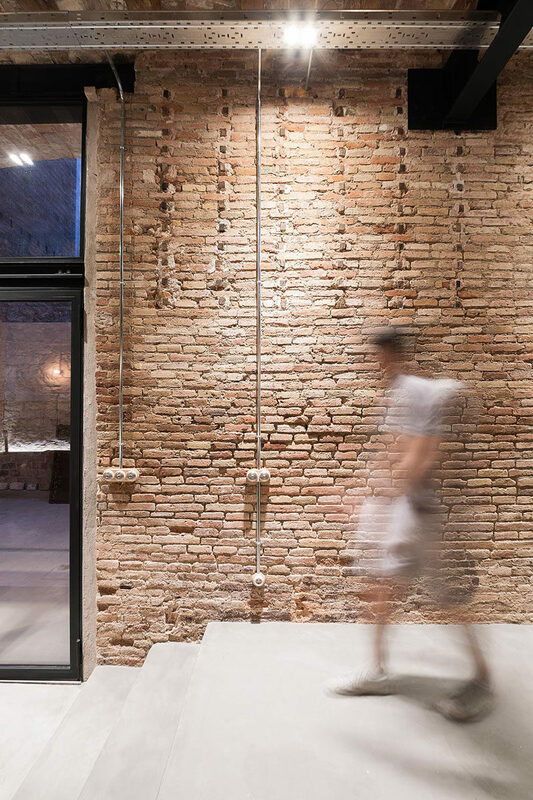 Throughout the home, elements of old, original building have been kept and highlighted, like this brick wall. The living room is stepped down from the kitchen. To the right, you can see the entrance to this apartment, both the guest suite / studio and this apartment have their own separate entrances. In the living room, the built-in sofa has colorful upholstered cushions, and storage has been added below them. 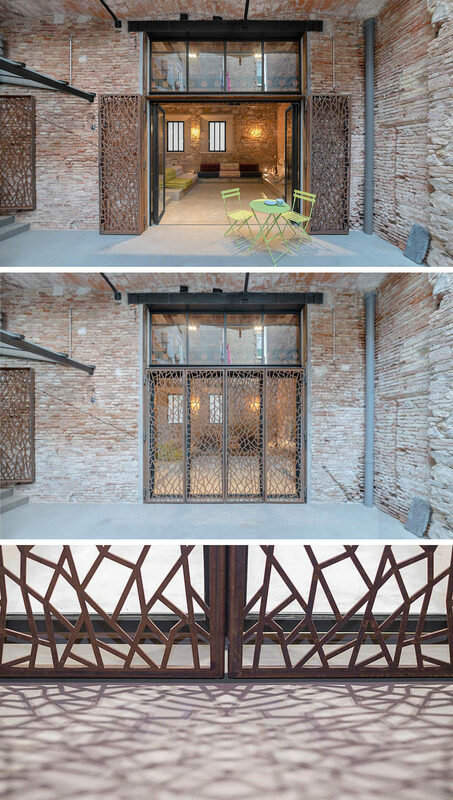 Bi-folding glass doors open up onto a private courtyard. Here’s a look at the doors in action. Decorative steel security screens have been added to the doors as well.